This is a personal website introducing my research activities. Please feel free to contact me on my e-mail address, or LinkedIn. Dr. Yotaro Kubo received the B.E., M.E., and Dr.Eng. degrees from Waseda University, Tokyo, Japan, in 2007, 2008, and 2010, respectively. He was a visiting scientist at RWTH Aachen University for six monthes in 2010. After that period, he joined Nippon Telegraph and Telephone Corporation (NTT) and had been with NTT Communication Science Laboratories. From 2014 to 2019, he was with Amazon and developed/ investigated speech recognition for voice search and personal assistants. Since 2019, he is a research scientist at Google. His research interest includes generative/ discriminative hybrid modeling, kernel-based probabilistic models, and integration of probabilistic systems. He is a member of the IEEE, the International Speech Communication Association (ISCA), and the Acoustical Society of Japan (ASJ). Y. Kubo, S. Okawa, A. Kurematsu, K. Shirai, "Recognizing Reverberant Speech Based on Amplitude and Frequency Modulation," IEICE Trans. on Inf. and Syst., Vol. E-61-D, No., pp. 448-456, March 2008. M. Delcroix, T. Yoshioka, A. Ogawa, Y. Kubo, M. Fujimoto, N. Ito, K. Kinoshita, M. Espi, S. Araki, T. Hori, T. Nakatani, "Strategies for distant speech recognitionin reverberant environments," EURASIP Journal on Advances in Signal Processing, (2015) 2015: 60. https://doi.org/10.1186/s13634-015-0245-7. Y. Kubo, T. Hori, A. Nakamura, "A Method for Structure Estimation of Weighted Finite-State Transducers and Its Application To Grapheme-to-Phoneme Conversion," Proc. Interspeech 2013, Lyon, France, August 2013. Y. Kubo, S. Okawa, A. Kurematsu, K. Shirai, "Independent Feature Selection Algorithms for the Creation of Multistream Speech Recognizers," Proc. ITRW on Speech Analysis and Processing for Knowledge Discovery, Aalborg, June 2008. M. Espi, M. Fujimoto, Y. Kubo, T. Nakatani, "Spectrogram Patch Based Acoustic Event Detection and Classification in Speech Overlapping Conditions," Proc. HSCMA, Nancy, France, May 2014. M. Delcroix, T. Yoshioka, A. Ogawa, Y. Kubo, M. Fujimoto, N. Ito, K. Kinoshita, M. Espi, T. Hori, T. Nakatani, A. Nakamura, "Linear Prediction-Based Dereverberation With Advanced Speech Enhancement and Recognition Technologies for The Reverb Challenge," Proc. REVERB Workshop, Florence, Italy, May 2014. M. Fujimoto, Y. Kubo, T. Nakatani, "Unsupervised non-parametric Bayesian modeling of non-stationary noise for model-based noise suppression," Proc. ICASSP 2014, Frolence, Italy, May 2014. T. Hori, Y. Kubo, A. Nakamura, "Real-time one-pass decoding with recurrent neural network language model for speech recognition," Proc. ICASSP 2014, Frolence, Italy, May 2014. M. Blondel, Y. Kubo, N. Ueda, "Online Passive-Aggressive Algorithms for Non-Negative Matrix Factorization and Completion," Proc. AISTATS 2014, Reykjavik, Iceland, April 2014. M. Delcroix, Y. Kubo, T. Nakatani, A. Nakamura, "Is Speech Enhancement Pre-Processing Still Relevant When Using Deep Neural Networks for Acoustic Modeling?" Proc. Interspeech 2013, Lyon, France, August 2013. S. Watanabe, Y. Kubo, T. Oba, T. Hori, A. Nakamura, "Bag of Arcs: New Representation of Speech Segment Features Based on Finite State Machines," Proc. ICASSP 2012, Kyoto, Kapan, pp. 4201-4204, March 2012. M. Delcroix, K. Kinoshita, T. Nakatani, S. Araki, A. Ogawa, T. Hori, S. Watanabe, M. Fujimoto, T. Yoshioka, T. Oba, Y. Kubo, M. Souden, S.-J. Hahm, A. Nakamura, "Speech recognition in the presence of highly non-stationary noise based on spatial, spectral and temporal speech/ noise modeling combined with dynamic variance adaptation," Proc. CHiME (Computational Hearing in Multisource Environments) 2011, September 2011. S. Wiesler, A. Richard, Y. Kubo, R. Schlueter, H. Ney, "Feature Selection for Log-Linear Acoustic Models," Proc. ICASSP 2011, Prague, Czech, May 2011. Y. Kubo, "Automatic Speech Recognition Based on Temporal Analysis of Amplitude and Frequency Modulation," Master of Informatics and Computer Science, Waseda University, 2008 (written in Japanese). Y. Kubo, "音声認識のための深層学習 (Deep Learning for Speech Recognition)," Journal of the Japanese Society for Artificial Intelligence, Vol. 29, No. 1, pp. 62-71, Jan 2014. T. Hori, S. Araki, Y. Kubo, A. Ogawa, T. Oba, A. Nakamura, "自然な会話を聞き取る音声認識技術 (Speech Recognition Technologies for Natural Conversation Scenes)," Nikkei Electronics, 2013.10.24, Oct 2013. 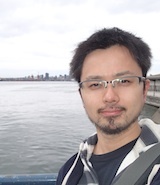 Y. Kubo, "ディープラーニングによるパターン認識 (Deep Learning for Pattern Recognition)," IPSJ Magazine, Vol. 54, No. 5, pp. 500-508, May 2013 (IPSJ Digital Library). K. Shirai, T. Kobayashi, M. Abe, K. Iwata, R. Imai, H. Kikuchi, K. Ohtsuki, H. Fujisawa, M. Honda, Y. Hayashi, K. Mano, T. Takezawa, S. Takahashi, S. Okawa, K. Hoashi, N. Masaki, N. Osaka, "音声言語処理の潮流 (The Tide of Spoken Language Processing)," Corona Publishing, Mar 2010 (I wrote explanations about tandem approach and neural networks). Y. Kubo, "Mac OS Xのアプリケーション開発 (Developing Applications for Mac OS X)," UNIX Magazine 2006.03, Mar 2006. "A Speech Recognition Toolkit based on Python", EuroSciPy-2010, Paris, France, July 2010. "Subspace Pursuit Methods for Kernel-Log-Linear Models," in National Institute of Information and Communications Technology (NICT), Kyoto, Japan, Nov. 2011. "High-Dimensional Log-Linear Models for Automatic Speech Recognition," in Microsoft Research Asia, Beijing, China, Jan. 2012. "Python in Automatic Speech Recognition Research (音声認識研究におけるPython)," Tokyo.SciPy #004 (aka Kan.SciPy #001), Jun. 2012. "Basics and Outlooks of Deep Learning (ディープラーニングの基礎と展望)," in ALAGIN Young Researchers' Workshop (Tokyo University), Tokyo, Japan, Dec. 2012. IEICE ISS Young Researcher's Award in Speech Field, 2013. The Itakura Award from the Acoustical Society of Japan (ASJ), 2013. IEEE SPS Japan Chapter Student Paper Award, 2011. The Yamashita SIG Research Award from the Information Processing Society of Japan (IPSJ), 2011. The Awaya Award from the Acoustical Society of Japan (ASJ), 2010.